Automated Packaging Equipment requires specialty conveyor and devices for integration. High speed machinery, such as filling machines, labelers, case packers create challenges in material handling. For instance, alignment of containers to ensure a label faces the correct direction seem simple enough, but at high speeds, specialty vision systems integrated with conveyor devices can be used to ensure labels face outward when a product is displayed on a store shelf. Packaging Conveyor devices include vision systems, pick and place packers, rotary accumulation tables, bi-flow accumulation tables, table top conveyor, mat top conveyor, merges, diverts, tray stackers, tray denesters, and carton erectors. Rotary accumulation and Bi-Flow accumulation provide buffering between packaging devices that may run at slightly different speeds. Vertical accumulators offer the same performance, but in a smaller footprint. Tray stackers and denesters provide automated handling of trays. Lid dispensers are similar devices for larger containers, such as 5 gallon pails. Vision Systems can be used to confirm product details, including presence detection, model and serial number detection through optical character recognition, color code identification, and other information. 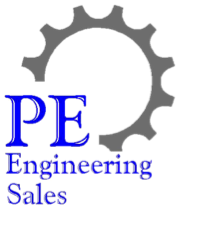 With our partners, PE Engineering Sales can provide the engineered solution you need for your automated packaging material handling system. Contact us to discuss your requirements.